J.C. Penney Co. (JCP) shares are trading at their lowest level in nearly 13 years, as the department stores operator's woes appear to be worsening. The retailer has struggled for some time with weak sales, a bungled turnaround effort, management changes and board resignations. A number of large shareholders have sold off their stake in the company. Wednesday's free fall comes as a New York State Supreme Court Judge summoned lawyers for Martha Stewart, J.C. Penney and Macy's Inc. to a hearing, almost two months after the three made closing arguments in a lengthy battle over J.C. Penney's controversial partnership with the homemaking maven. It also follows recent reports that the retailer is looking to raise more money, possibly through a combination of debt and equity. J.C. Penney's reported search for more capital comes after it arranged a $2.25 billion loan this past spring with Goldman Sachs. Daphne Avila, a spokeswoman for Plano, Texas-based J.C. Penney, said she is unable to comment on stock performance or unconfirmed reports based on market speculation. She had no updates on the court's activity Wednesday morning. There is speculation that the judge wanted a hearing to determine whether some media reports were accurate that J.C. Penny is planning to dump Martha Stewart designed home furnishings line, even before waiting for the judge's ruling on the case. Macy's, which has a long-standing contract with Martha Stewart, sued Penney and Martha Stewart for signing a 10-year contract with the domestic diva in late 2011. The J.C. Penney deal was signed by its former CEO Ron Johnson as part of an overall plan to reinvent the retailer. But his new merchandising and pricing plan failed, leading to massive losses. Johnson was replaced by his predecessor Mike Ullman in April. Ullman has been unraveling many of the changes made by Johnson in an attempt to turn around the business. "The stock is getting destroyed because of the realities that are happening every day at Penney," said Belus Capital Advisors analyst Brian Sozzi. He believes that reports that Penney is dumping Martha Stewart shows how it's trying to quickly get rid of poor-selling merchandise. He also believes that Penney finished off a weak back-to-school season and is looking for more financing. 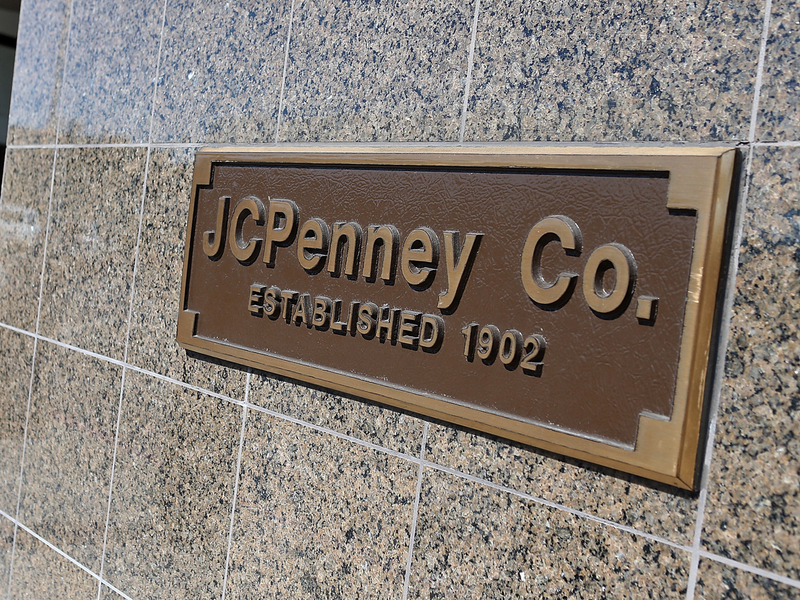 J.C. Penney shares fell $1.44, or 12, to $10.46 by in midday trading. The stock dropped as low as $9.93 earlier in the session, a level it last traded at in the fall of 2000.